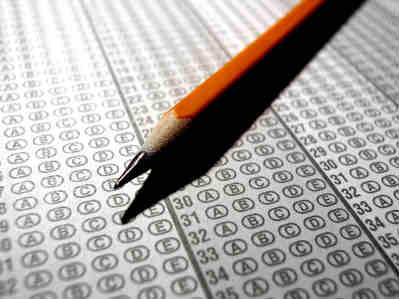 Many students who are interested in credit by examination can take the DSST, or the DANTES Subject Standardized Tests. The DANTES (Defense Activity for Nontraditional Education Support) program by the U.S. Department of Defense is the program that provides the resources for DSST. One of DANTES main objective is to make college more affordable and less time consuming for active duty and veteran military members. Through DANTES, the DSST is started to offer support for service members who were working towards earning their degrees. That is why there is a DANTES credit by examination. The DANTES credit by examination is a program that gives you the opportunity to demonstrate college-level achievement through a program of exams in undergraduate college courses. The examinations for DSST include 38 subjects which are similar to end-of-course test offered by colleges and universities. This will allow you to earn credits required for a college degree if passed. There are a lot of positive reasons why you should take credit-by-examinations. One, it saves you money because an average college course can cost over $100 per credit, whereas the DANTES credit by examination is free for service members and only over $40 for civilian student per exam. You also don’t have to be enrolled in college to take the exams which is also one way for you to save up. Taking the examination also saves you time and helps you skip ahead. An average college course takes three or more months to complete while you could spend less than a month preparing for each test depending on your stored knowledge. And by passing the examinations, you will not have to sit through a boring college course. Moreover, taking the exams offers you flexibility. Since you are not required to take a college course, you can set your own pace and choose your own study materials. For the majority of college students, the road to earning credit usually requires weeks of paying attention to classes, taking notes, finishing projects and passing a mid-term and final examination. However, if you can earn that credit faster and at a small fraction of the expense of getting a formal course, will you be engaged? There would be no projects to finish and no classes or lessons to go to, just an examination to pass. Students searching for a more effective style to acquire a college degree must look into credit-by-exam programs, which may have gained popularity among those who wish to speed up their education and save money at the same time. Credit-by-exam programs have already been employed for many years and strive to grow today simply because they offer real value to students and allow them to finish degree demands more proficiently than taking conventional courses. Almost 3,000 universities and colleges within the U.S. recognize credit-by-exam as transfer credit. The programs permit students to earn credit by passing just one examination and tend to be an excellent fit for self-sufficient students, students who possess college-level knowledge and students who are good applicants. Credit-by-exam programs aren’t for everybody, particularly students preferring a structured atmosphere and getting together with a teacher and fellow students. Choosing to gain college credit by getting ready for an exam that includes a semester’s worth of content means you need to be self-motivated and encouraged. This method appeals to many hectic adult students who have contending demands on their own time and preferring to work independently. Students thinking about credit-by-exam programs must consult with their academic advisor to ensure credits with the exam they’re planning to take can be moved to fulfill essential requirement in their degree program. There are a few ways to obtain college credits even without enrolling to a course. The Government has been supporting the credit by exam program for students who have advanced knowledge of a certain course or subject. They will no longer retake a course they already master. There are many options available to earn credits. After finishing an Advanced Placement course, students have the choice of paying a fee for taking suitable assessment. Test scores identify the kind and number of credits the UO can honor. The College-Level Examination Program (CLEP) is a countrywide assessment system that makes it feasible for students to acquire college credit through exams. 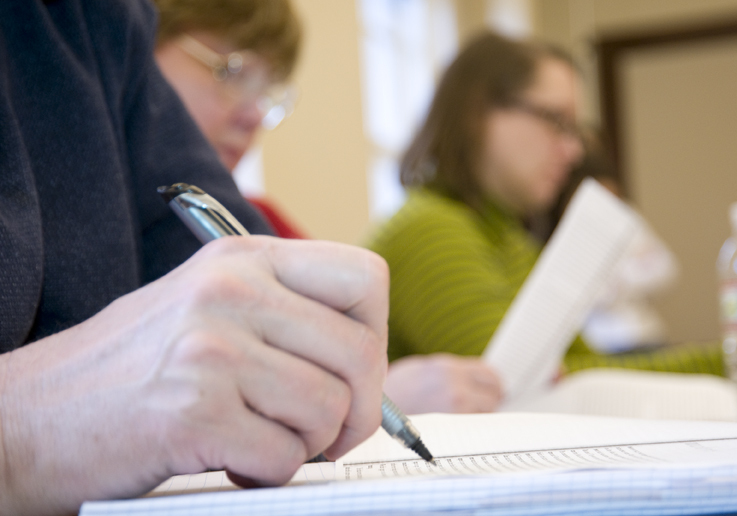 Subject Examinations are available to all students. The educational departments that have permitted the use of these assessments also figure out the scores essential to receive college credit. Credit by examination permits officially accepted undergraduate students to challenge undergraduate university courses without subscribing to the courses. Students wanting to obtain credit by examination have to be registered for the term in which the exam is offered. Credit by examination might be earned only in courses in whose content is recognized by the college or university. College students should get in touch with the Office of the Registrar first to complete an Academic Requirements Committee request to determine eligibility for credit by examination. Students then acquire faculty and department approvals prior to the exam. Students are charged a test fee of $25 per credit hour. You can avail of any of these methods, with good preparation you may pass the exam and enjoy the benefits of earning a credit as you enter your course in College. Students after graduating high school have the opportunity to get credits by taking examinations that are recognized by the college they are enrolling. Credit by exam enables you to earn college credit before you decide to take college. Getting a credit will save you some time and money and will allow you to take on another subject, major or finish your course earlier than usual. There are colleges and universities that permit students to get as much as 30 hours of credit in certain academic areas. Some colleges allow more, depending on their program. There are different “credit by examination” programs that are recognized by most colleges, for example the College Level Examination Program, the International Baccalaureate Program and the Advanced Placement Program. You can generate 3-8 semester hours of credit per test, based on your score and the subject, in an AP exam. If you are a transfer student, you must submit your AP and CLEP scores, less than 12 semester hours, to the college you are enrolling. Your school will still evaluate your score and the subjects you took. You can skip many core courses and receive credit for them by taking a college credit examination and advanced placement. 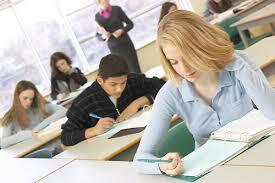 The college credit examinations are generally recognized by colleges and universities. If you pass these examinations, you can earn one-third or more of the credits mandatory for a degree. The examinations are accessible in more than 150 subject areas which gives you a lot of options. The exams are comparable to final examinations given by colleges and universities. 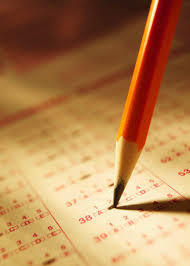 Nevertheless, credit by examination is quite fast, this means it saves you time, but requires you a lot of preparations. It is an affordable way to receive a college credit which makes it very convenient and a must option. Credit by examination has been a more appealing program for people who are in the service. This is because they no longer need to take the courses they already know or have a background with. They no longer need to pay the costly tuition to be able to get the credit. This makes the credit by examination a great choice for many students, who are busy with their work or their daily activities. Different programs are developed to let the students get the credit by demonstrating their knowledge regarding the subject by passing the standardized test. Service members, their spouses and civilian employees are allowed to receive civilian college credits through subject-based examinations. The credit by examination is an excellent shortcut in getting credits but not every school accepts the program. But the program does have its limits also. It’s not designed to cater every subject or cover the whole course. Most schools who offer the program usually place a limit on how much credit can be earned in this manner. If you are interested to take the test, there are a bunch of programs who offer it. But, not all colleges and universities accept it. Make sure that your chosen school accepts the program so that you won’t waste your time in taking the test, or you will still have the time to look for another college or university which accepts it. The first thing you need to do is to speak in detail with prospective schools to ensure you won’t be disappointed. You must pick also the best program that is best suited to your abilities. You may ask people who already took the test for advice so you may know what are the things you need to prepare and the requirements needed. 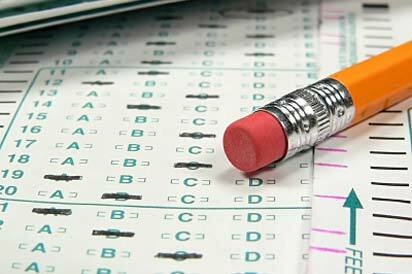 High School students in Texas High are now allowed to get credit by examination which is a mandate by the State Law. The students must first speak with their advisers to clarify the process and then undergo evaluation before application. Applications must be given to the advisers by April 2. And the schedule of the examinations will be on April 7-9, 2014. To be able to get credit ranking, learners must achieve a certain ranking. This is to ensure that the students will do their best in studying. If students have taken the class, the ranking must be 70 % or higher. If they haven’t a ranking of at least 90 % is needed. This is to ensure that the students are in a greater capacity to pass the exam and that they will be motivated to do their best and get a higher score. “It’s state law that all educational institutions are needed to provide a means for learners to get credit ranking”. Schroeder said, “We like it for especially kids that are local speaking students, they can successfully pass the lower level Language sessions. Or if it’s a student that wants to take the speech class and not use that term because they want to take another class in that semester.” This program understands the situation of the students and making it more uncomplicated. According to Schroeder, credit ranking by evaluation is also a way for learners who might have lost a credit ranking due to absences that can easily successfully pass the evaluation without having to be present during summer. The State is ensuring the quality of education through programs in schools that will help and benefit the students. Credit by evaluation is free, while during summer is not. For more information regarding this topic, contact an educational adviser in Texas. Too many students are targeted on the classes they need to take – English, Psychology, Chemistry and Accounting. It’s simple to see why. Pick up a college course book and you will see that degree programs are set out as series of classes to take. Successfully pass them all and you graduate with the degree you desired. Yet, this is actually a superficial way to look at higher education. As it turns out, classes are not the real foundations of degrees – credits are. Take a closer look at your college’s course book. What you will see is that you actually need a certain number of credits to graduate, usually 60 for an associate degree and 120 for a bachelor’s. This is a key understanding, because once you move your focus from classes to credits, you can begin studying methods to buy them for less. The costly classes your university provides are just one way of getting those credits, even though most learners thoughtlessly believe it’s the only way. Most students are acquainted with the first two choices. But hardly anyone knows about credit by examination and even less understand its complete prospective. 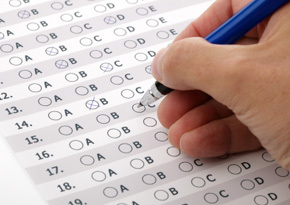 Credit by examination represents college-level topic assessments like CLEP and DSST. With this strategy, you take a large test covering a whole topic rather than a semester-long course. Successfully pass the examination and you generate credit just as if you had taken the class. What this implies is that you can possibly cut lots of money off the price of finishing by replacing as many of these examinations for classes as your higher education will allow. Unfortunately, many colleges and universities have tight “residency requirements” restricting how many credits you can get this way.